Cisco Ramon: Whoa. Guys, this is mad freaky. I wanted the title to be 'BEST EPISODE EVER' because this episode deserves an all caps title, but IMDb asked me not to shout. So starting with my review, there are good episodes and then there are episodes that blow your mind and this episode did exactly that. Oh my god, I have seen many super hero shows and thought I liked a few shows more than this one but this specific episode has changed everything. It is a true piece of art. Wow just wow! 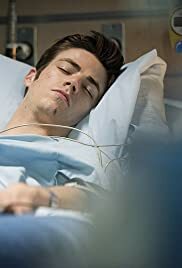 I had to go back and change my rating for 'The Flash' from 8 to 9 after this single episode because it was that powerful. Out of the thousands of episodes I have seen in the past few years, this is hands down my favorite episode ever. I can't even start to imagine what the writers are going to do next to top this.